Towing & Roadside Assistance in San Clemente, CA - S & K Towing, Inc. 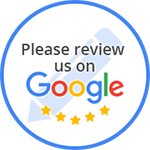 Customer Reviews for S & K Towing, Inc.
“These guys are great! I called and needed my son's totaled and stripped down truck towed from my house to a recycling plant. Another towing company left me in the lurch, so I needed this done within an hour of my phone call. Brian was terrific and set it up for me (with a great price!) and Mark, the driver, was quick to get the truck loaded and to the destination in time.